For the Classic box they work out at $39 (£28.38), $37, $35 , and $33 per month. 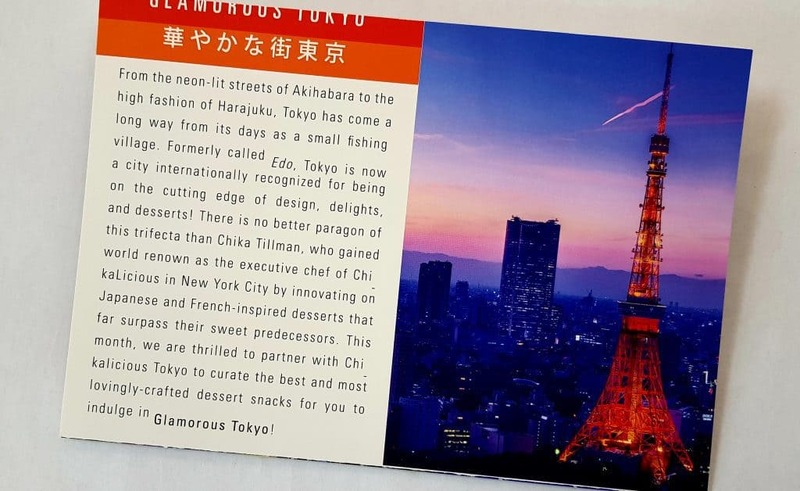 This month’s theme is Glamorous Tokyo. The lovely presentation box is shipped in a plain cardboard box, so it arrives in perfect condition! 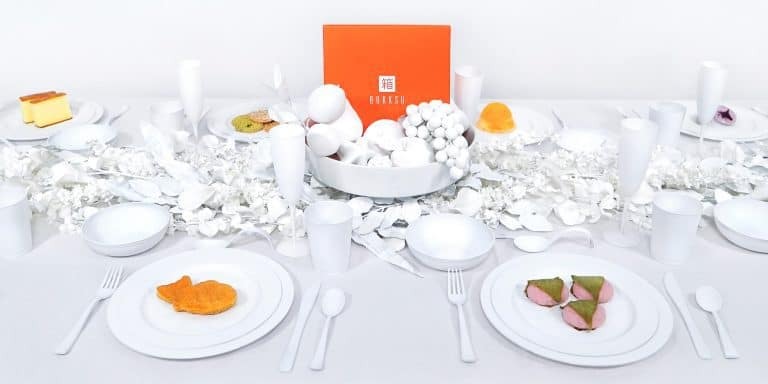 The menu is beautifully designed. It also includes allergens, which is extremely useful! Usually Bokksu includes tea, but this month has coffee instead! 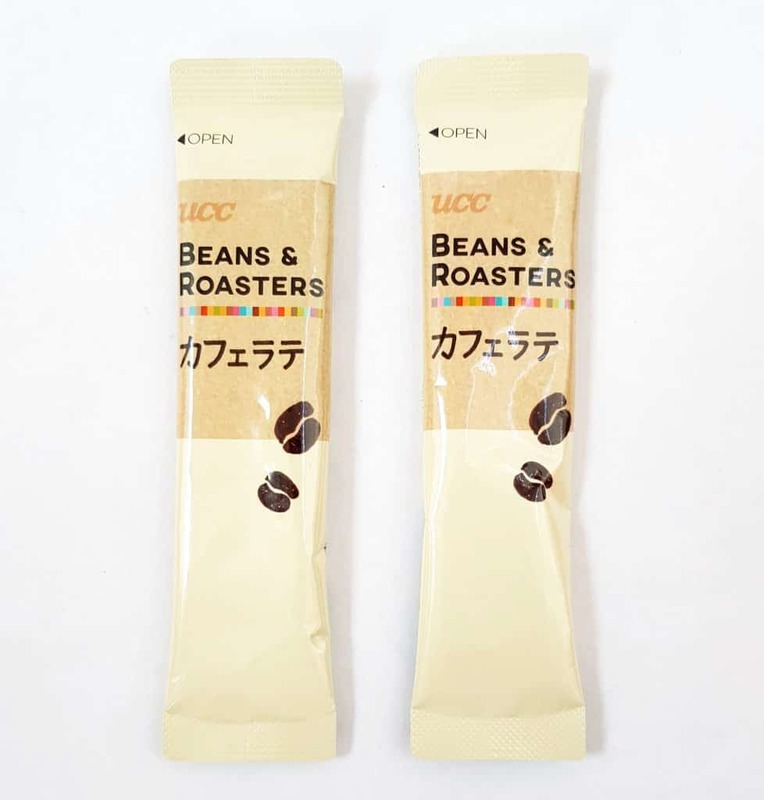 Caffe Latte Sticks are little instant latte packs. You add the powder to hot water and stir. You can also add ice for iced coffee instead. These Maple Butter Cookies have the most beautiful packets! They are thin maple langue du chat cookies with a vanilla and white chocolate filling. These are Mini Fried Rice Crackers, and are little bags of crunchy mini rice cakes. They’re sweet soy flavour, and very moreish. 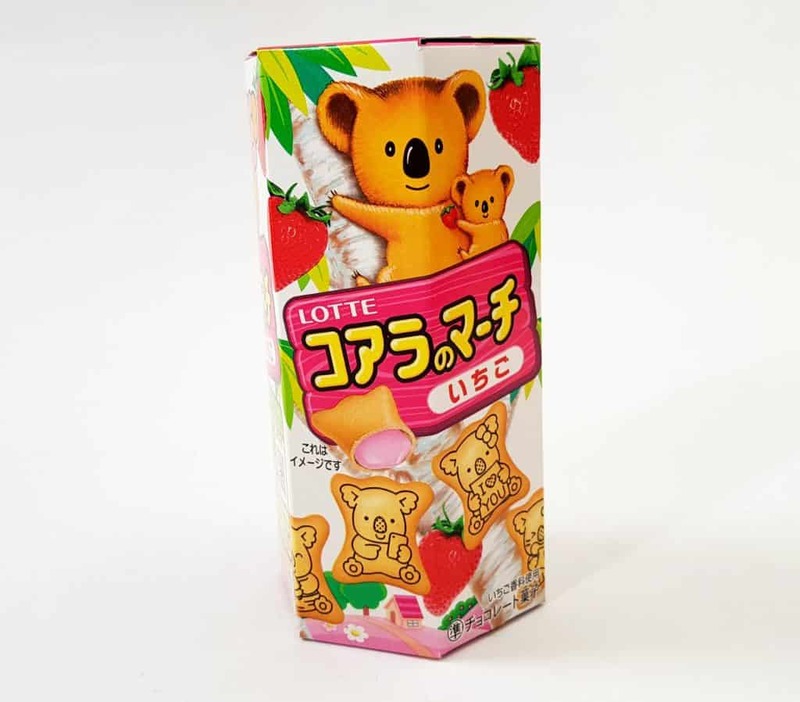 Koala’s March Strawberry are a very popular snack, and they’re also very cute. They’re a little cookie filled with strawberry creme with tiny koala pictures on them! Black Sesame Goma Senbei are traditional Japanese rice crackers with added black sesame seeds for a toasty flavour. Very crunchy and savory. These Horn Milk Chocolate are butter cookie sticks filled with creamy milk chocolate. Great with coffee! These are interesting. They are called Cobbler bars, one Chocolate and Banana and one Apple Caramelized, and are sort of like a soft chewy brownie bar. 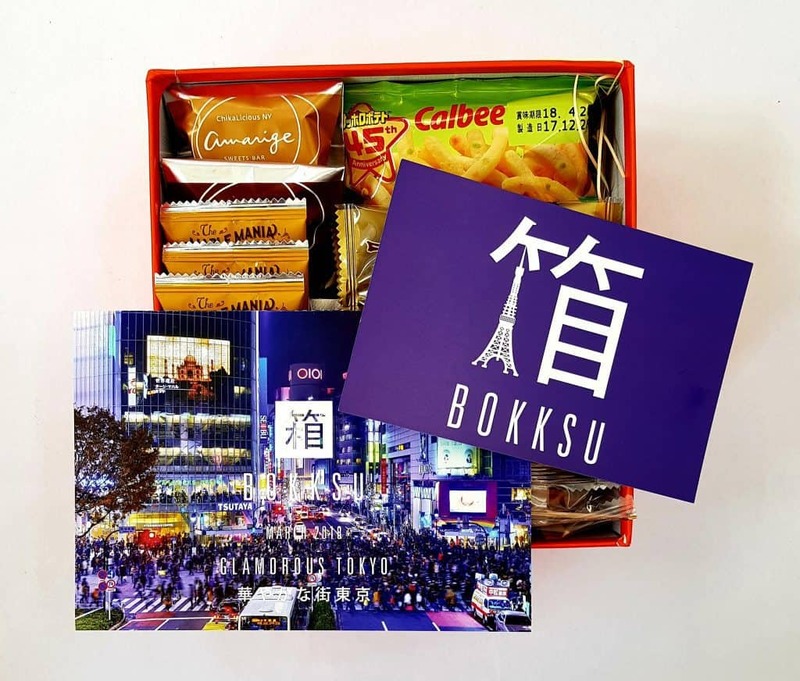 For this box Bokksu has partnered with the Tokyo Chikalicious NY Dessert Bar, who makes these cobbler bars. 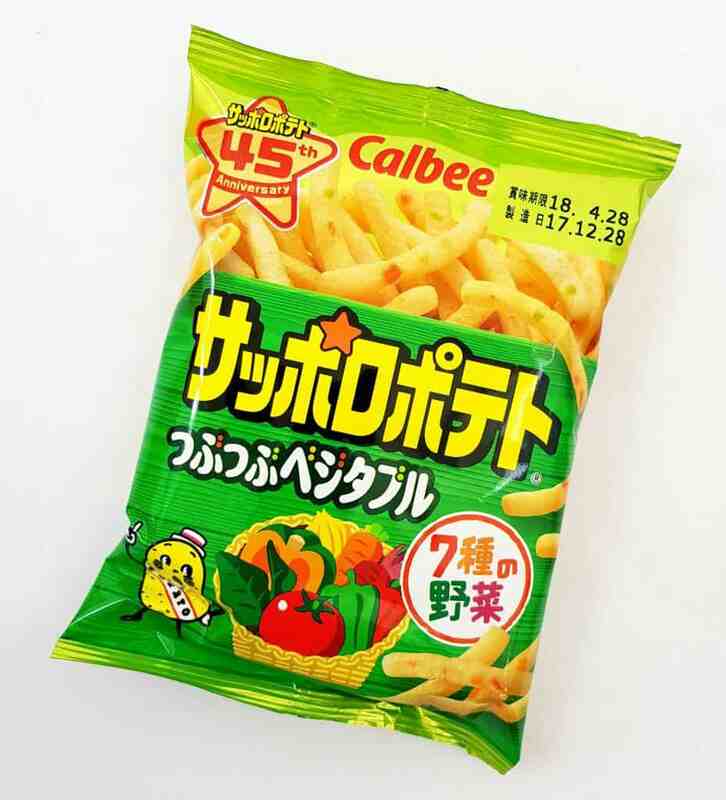 Vegetable Potato Sticks are a crunchy salty potato snack that contains vegetables. I’ve had these before and they’re delicious. 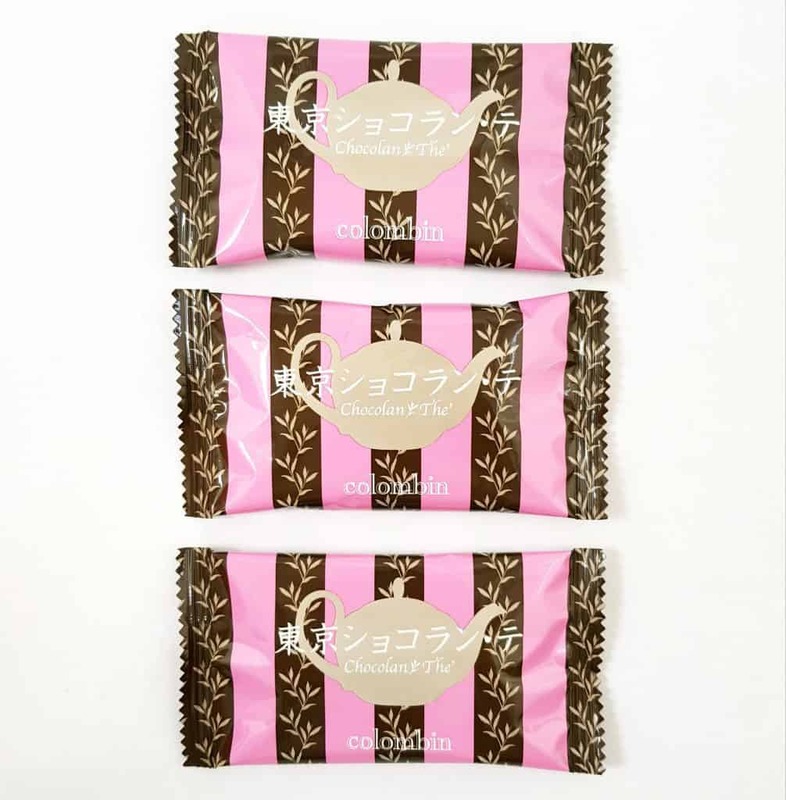 Tokyo Chocolate Tea are lovely chocolate-covered biscuits that are infused with tea for a slightly smoky flavour. 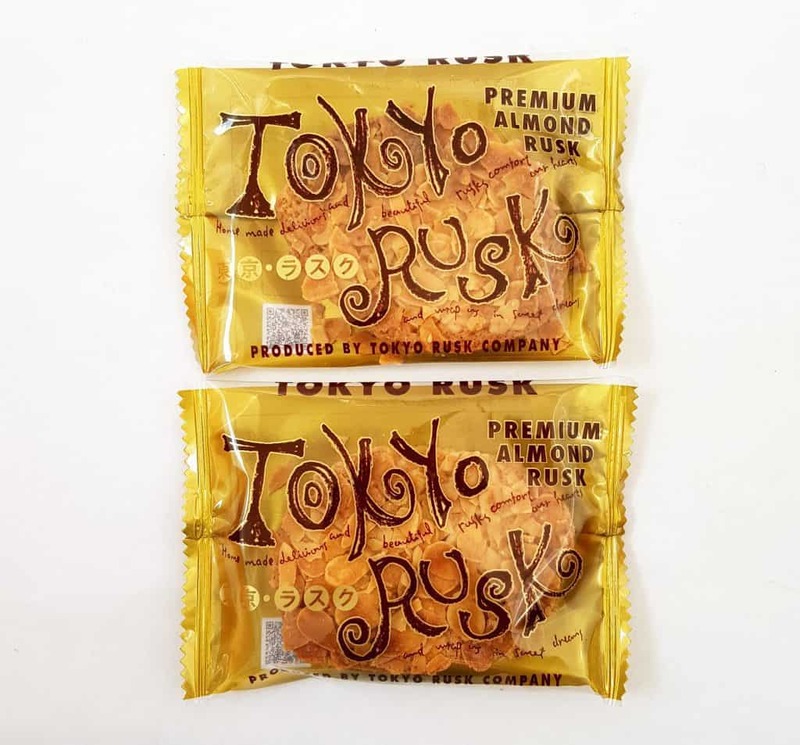 Finally, Tokyo Almond Rusk is a premium sugar rusk with added almonds. 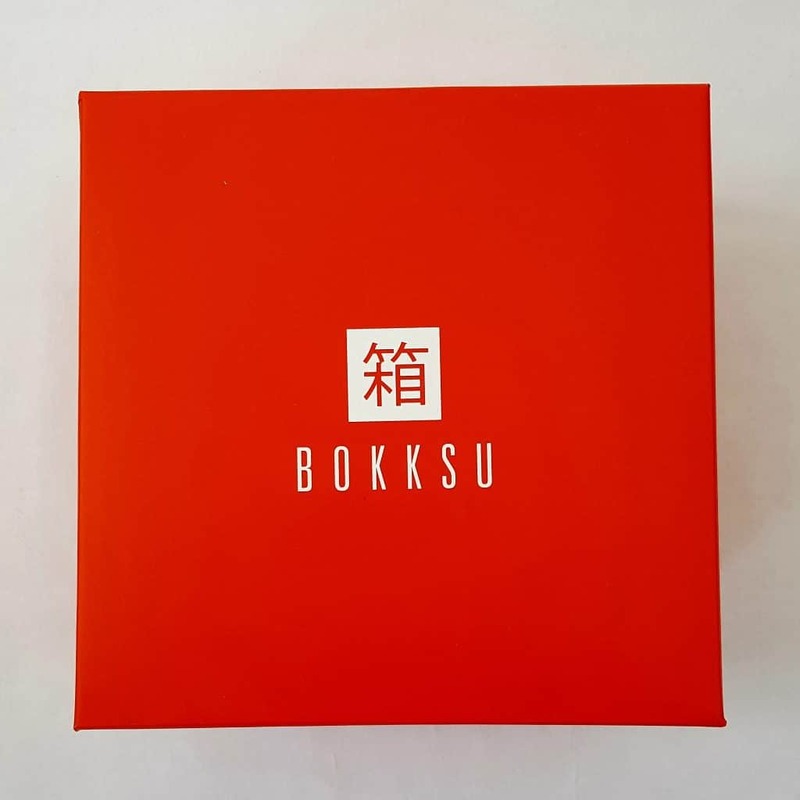 Bokksu has included this brand in a previous box, though not this version. Sugar rusk, twice baked buttered and sugared bread, sounds like an odd snack, but it’s actually extremely good and very Japanese. 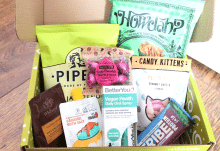 As always, there’s a terrific variety of snacks in this box! They’re great for unusual flavours, such as tea-infused biscuits and black sesame. There are only two savory snacks this month, or three if you count the mini rice crackers, though I don’t find sweet soy savory at all! But the rest of them are so delicious I don’t mind! The cobbler bars are very unusual, but very tasty. They are also something you can only buy in Tokyo, so it’s fantastic to have such a completely exclusive item. I’m not quite convinced about a couple of things: the Koala’s March and the vegetable sticks. I know them both and enjoy them very much, but I don’t think they quite fit in with the artisanal nature of Bokksu, especially as you can get both very easily in the UK. I’m also not a fan of the coffee sticks. I don’t like instant drinks because they’re never as nice as the real thing. However I also know plenty of people who love them! So that’s just my personal taste. The maple cookies are amazing, I wish there were more! I adore maple syrup so these are my perfect biscuit. 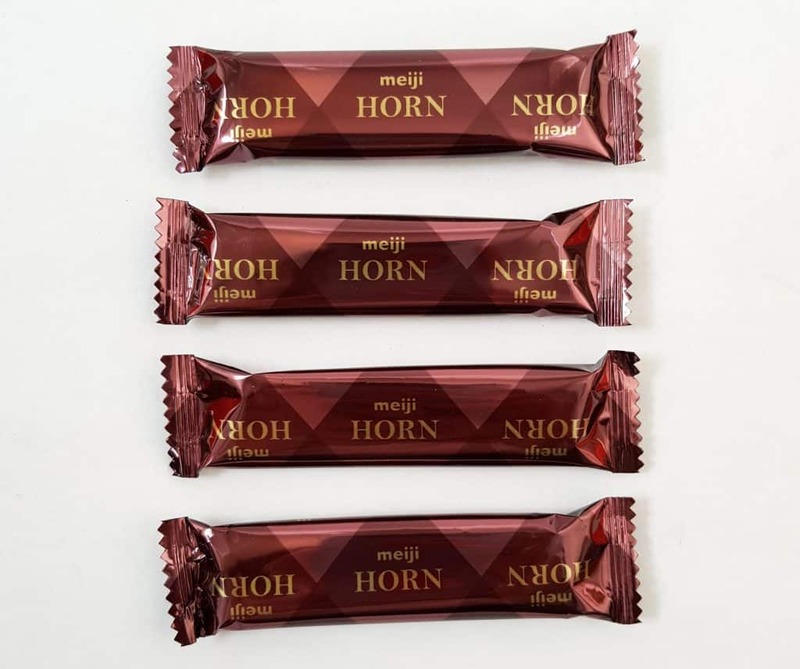 The Horn Milk Chocolate are also delicious, the chocolate filling is creamy and generous! The individual packages are very useful for portion control, and it’s always a delight to try new flavours. 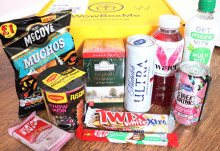 I also love the packaging of many of these items, I think that an attractive package makes food taste even better! 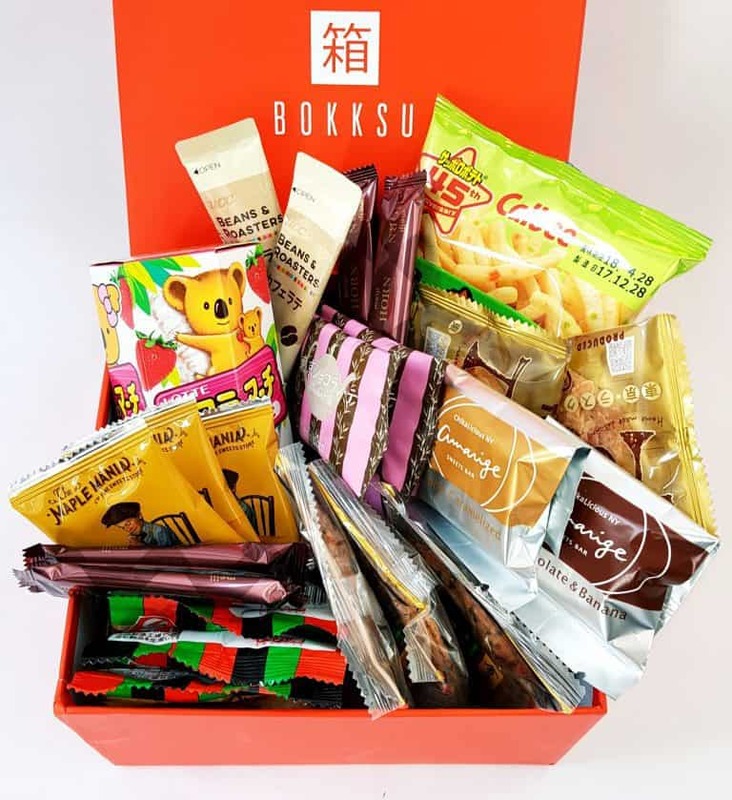 This box is a lovely way to try the slightly more unusual snack foods from a different country, especially when they take a little Western influence and make it into something completely different. A great treat for yourself or a friend who loves their food!